No Christmas season would be the same without a visit to see Father Christmas himself. We took the kids to see him this week. With Gracie being that little bit older this year she is seeing all the magic that surrounds Christmas and her visit to Father Christmas was definitely a magical experience for her. 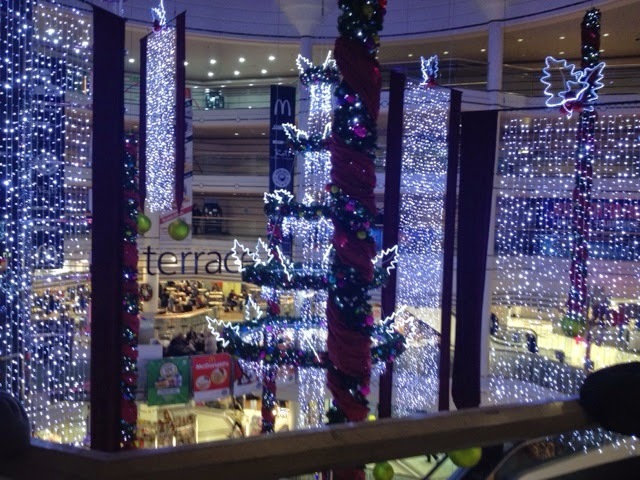 The Santa's grotto at our local shopping centre has had a big transformation this year. After years of long queues to pay a fortune for a cheap gift and photo they have finally made huge changes to make it available to all children completely free of charge. Not only that but it is so much better than ever! 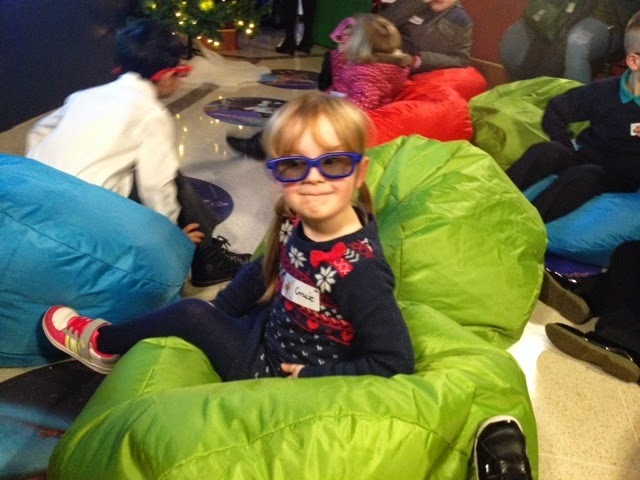 First they let the kids and adults into a small room with beanbag chairs for the kids and 3D glasses to watch a short ten minute film about a reindeer. The kids all loved it. Then you go through another door down a little corridor full of beautiful lights and Christmas displays. At the end of the corridor is Santa's grotto. The Santa was lovely and welcomed the kids asked them questions and what they would like for Christmas. Gracie reeled off her list (thanks to all the TV adverts it's a pretty long one!) she then asked really nicely if he would bring her baby sister Elsie a nice teddy because she couldn't ask him for any presents ( she does make my heart melt sometimes!). Zach asked for Batman and Spider-Man, he's easily pleased! Then Santa handed both kids a candy cane each and a book about Christmas Eve in Coventry so they could read it to Elsie. The kids thought it was really special and I loved that this whole experience was offered for free so that all families can go without worrying about the expense! 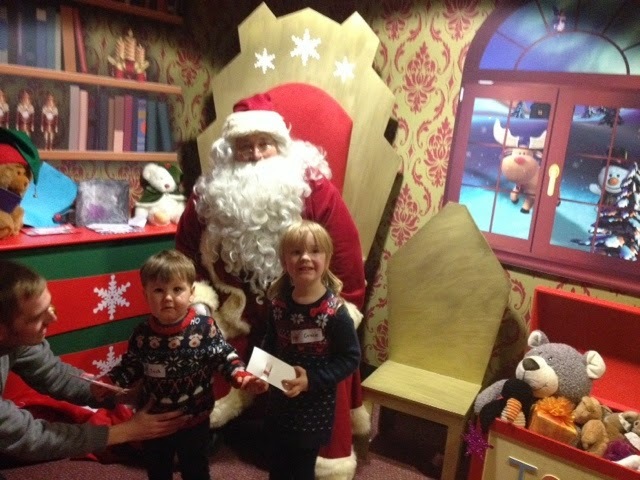 Have you been to see Santa yet?